Sardinian 'rebels' redraw island map ~ Sardinia Baby! 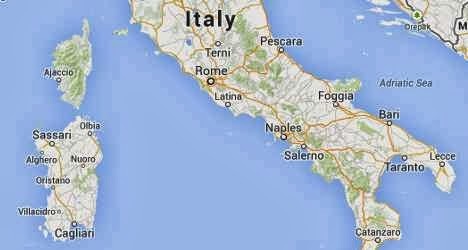 Frustrated by the government ordering bilingual signs be taken down, a group of amateur cartographers took to the internet in revolt, La Stampa reported. 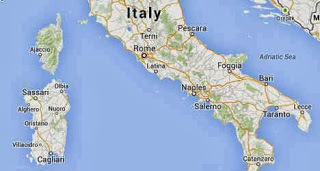 Using the Google Map Maker application, which takes a crowd sourcing approach to edit and update Google Maps, the islanders quickly renamed nearly every Italian place name with the Sardinian version. Cagliari, the capital, became Casteddu, for example, while the second city Sassari was renamed Tàtari, La Stampa said. The linguistic coup lasted around a month, before Google got wind of the trickery and reinstated the Italian language place names. Unified just 150 years ago, Italy boasts a huge number of local languages and dialects. The Sardinian language has been protected by law since 1997, although the number of speakers of Sardinian and other local languages is falling. The national statistics agency, Istat, said in 2006 that a third of Italians spoke both a local language and Italian.